Cinco De Mayo or May 5th is a historical date where the USA and Mexico celebrate Mexico’s victory over French forces. This date goes back to the 1800’s. Read more about this holiday on Wikipedia. As with every holiday, we crafters take this opportunity to express ourselves and make something to join the celebration. Ready to embellish with me? Learn more below! 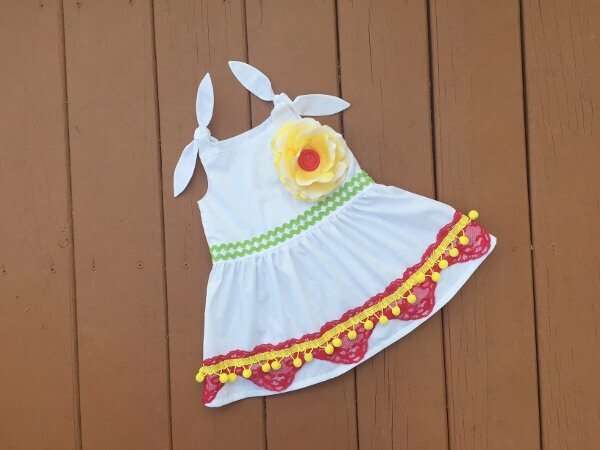 Today I want to showcase a beautiful sewing pattern by Mandy K.’s Tiers Of Joy Dress Pattern can be make with a tiered skirt or a simple one. I opted for the simple skirt just because I was able to let my trims shine! You will only need about 30 minutes from start to finish for the embellishment! You can also use any other solid colored dress you have on hand! Make or pick your favorite solid colored dress, best in white! Pin your pompom trim on top of the lace and since this trim is wider you can use a zigzag stitch the trim on. Finish it the same way you did with the lace. 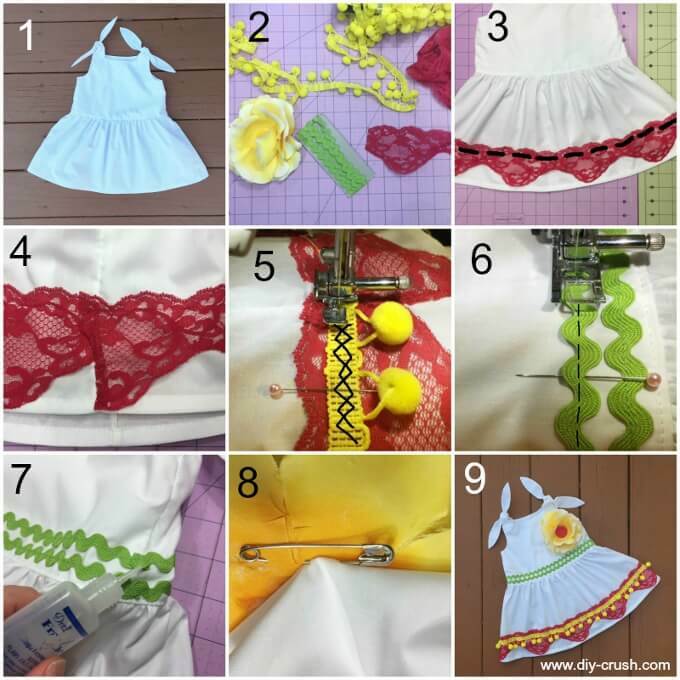 Pin one or two rows of the rickrack trim to the bottom part of the bodice and sew it on like you did with the other trims. Since rickrack trim likes to fray a lot, apply fray-check to the ends. Sew the button to the center of your flower after you have removed the stem and plastic insides if applicable and pin the flower to the dress as shown in picture. It gets pinned between the flower and the outside of the dress. Be sure to check out Mandy K. Designs Patterns. We hope you love this project!! Please share via the social share buttons on top of this post! 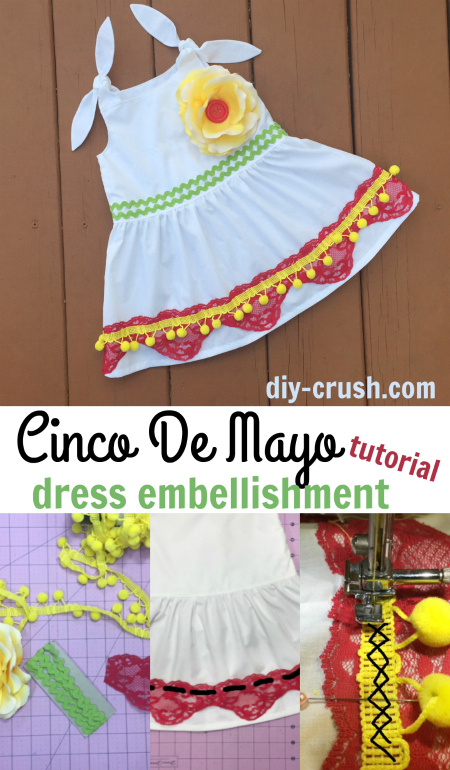 Please leave a comment on what you are sewing for Cinco De Mayo! We might just feature you on this blog!